When selling your property privately you are going to be working hard to get people in the door for showings – but then what? If you are not ready to ask the buyer the right questions, you may lose their interest. 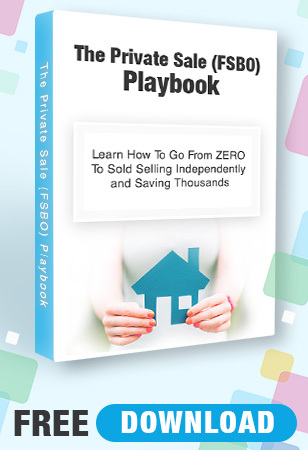 When selling privately you need to be your own agent, and think like an agent. In this article you will learn what questions to ask an interested buyer of and buyer’s agent. When a buyer contacts you about your house for sale, the first questions you should ask is if they are currently working with a licensed real estate member. If they say yes, you should ask if they have signed a Buyer Brokerage Agreement which means they are locked into a contract with that buying agent. If they have signed a Buyer Brokerage Agreement expect there to be an agent involved in the deal. This can have many advantages attached to it, such as the regulated forms for the Agreement of Purchase and Sale, someone to facilitate and move the deal along, as well as the protection of the real estate board. If the buyer is not currently working with an agent you have a potential for greater savings, however, there may be more risk involved with the transaction, and more work on your end. Before you go into the time and effort of writing up agreements and doing inspections etc. you want to make sure your buyer is qualified. It is ok to ask this up front. If they have not been pre-approved you can indicate you are only interested in qualified buyers at this time. If you are hungry for the deal, they will be giving a Financing condition in the Agreement of Purchase and Sale where they will need to confirm approval from their lender. You can let buyer have the their chance then. A pre-approval does not guarantee financing but it is a great place to start to know that your buyer is serious about purchasing. The more information you can get out of your buyer the better for when it comes time for negotiations. Dig into your buyers motivations for searching out properties. This may give you an idea about their timeline and how soon they need to make the change. If they have a new job posting and are not moving for a year, their motivation to put in an offer may be extremely low. However, if they need a quick close by next month, you may have a more aggressive buyer on your hands. You do not want to waste your time with tire kickers. If a buyer is just browsing and is not motivated to buy you don’t want to spend time on them that could have been spent elsewhere. Try to get to the root of why the buyer is buying, this will help determine how motivated they are. It is important after every showing to ask for feedback from the buyer or the buyer’s agent. What did the buyer like, what didn’t they like? There are some things you simply can not change about your property, like the layout. However, if there was something cosmetic the buyer didn’t like, you may want to negotiate a change and see if something can be done. For example, the buyer did not like the carpet in the den, but with a submitted offer you may be willing to replace that carpet with linoleum? When asking questions after showings you may ease your way into negotiations for an offer. The simple fact that you have potential buyers coming through your doors for showings means you are on the right track! Arm yourself with questions to dig deeper with your buyers and see where their motivations lie. The more information you can discover, the better for you and your deal. When buyer’s come through your door for a showing it is time for brief celebration. The work you have put into your listing is producing interest. But, your work is not done. Do not waste a great opportunity to learn about your buyer and how they view your property. Get the feedback and put it into action.